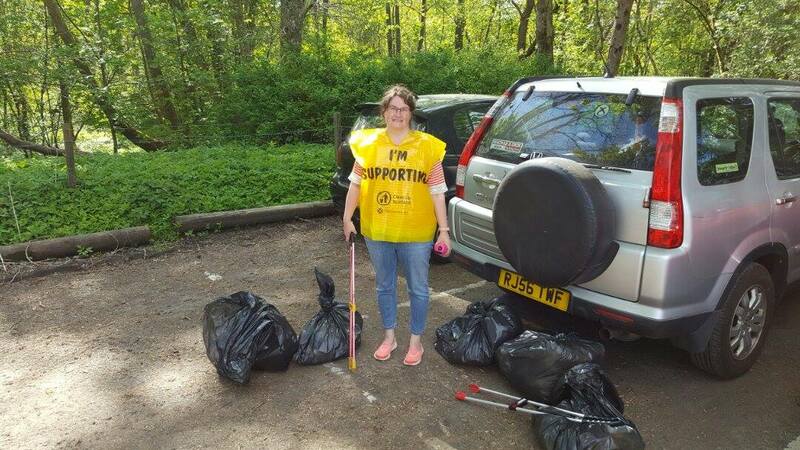 Comrie’s Annual Litter Pick took place this afternoon. The turnout was most disappointing, with only two local residents turning up for the clean up. (Pauline, a Community Councillor and her Husband Joe). 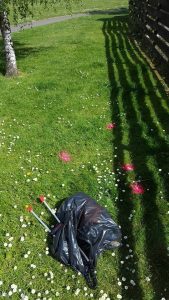 Pauline & Joe filled six bags with discarded rubbish, from cigarette ends to a pillow. They managed to cover the Field of Refuge and Strowan Road car parks, the War Memorial, the Legion Park and surrounding paths, and the Boulevard. Many Thanks to Pauline & Joe for your stalwart work ! We hope that residents and visitors appreciate it !!! 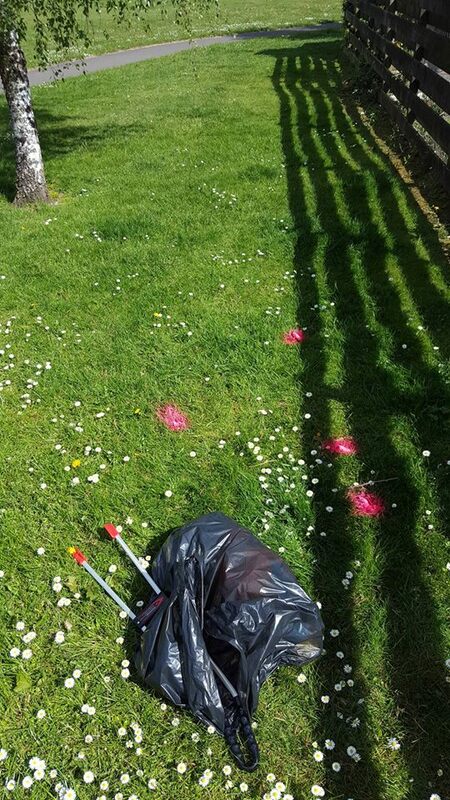 In a new initiative, the volunteers also sprayed any dog fouling they came across with neon pink paint. 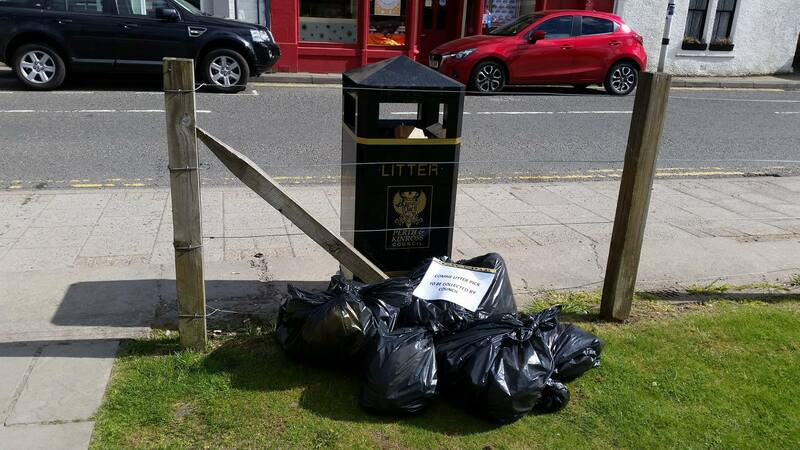 The Community Council hopes that this will help to raise awareness of this serious issue.